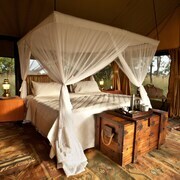 Situated in a national park, this tentalow is 27.8 mi (44.7 km) from Tarangire National Park. 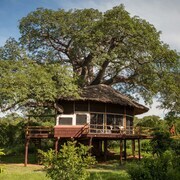 Situated in Tarangire National Park, this tentalow is 23.8 mi (38.2 km) from Kwaraa Stadium and 24.7 mi (39.8 km) from Lake Babati. 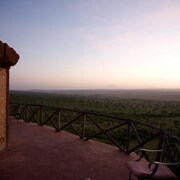 Situated in a national park, this hotel is steps away from Lake Manyara National Park and Lake Manyara. 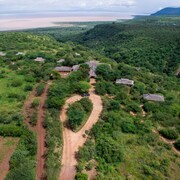 Situated on the riverfront, this tentalow is 7.4 mi (11.9 km) from Tarangire National Park and 10 mi (16 km) from Lake Manyara. Situated in Tarangire National Park, this lodge is 6 mi (9.7 km) from Lake Manyara and 13 mi (20.9 km) from Tarangire National Park. 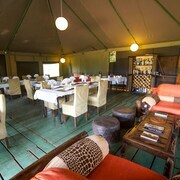 Whistling Thorn Tented Camp is a genuine Out of Africa experience. Enjoy the silence of the bush - the owner Hagai Kissila and his wonderful friendly staff and kind Maasai watchmen take care of you day and night. 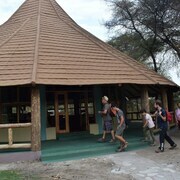 Don't miss the morning bush walk with Maasai guide. Optional game drive to Tarangire National Park with the owner as an excellent guide. 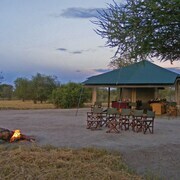 Whistling Thorn Tented Camp is a must on a safari tour. The welcome I Received was just amazing and it Carried on . Good food Great services by all the staff A great start to my safria. 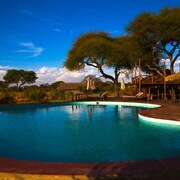 Explore Tarangire National Park with Expedia's Travel Guides to find the best flights, cars, holiday packages and more!